Price: Rs.1250/- Please Call for availability before you book any Event/Trek, to avoid 5% Transaction Charges. Batch Full. The Everest of the Sahyadris, Kalsubai Peak (5400 ft.) is the highest peak of the mountain range of Sahyadri. 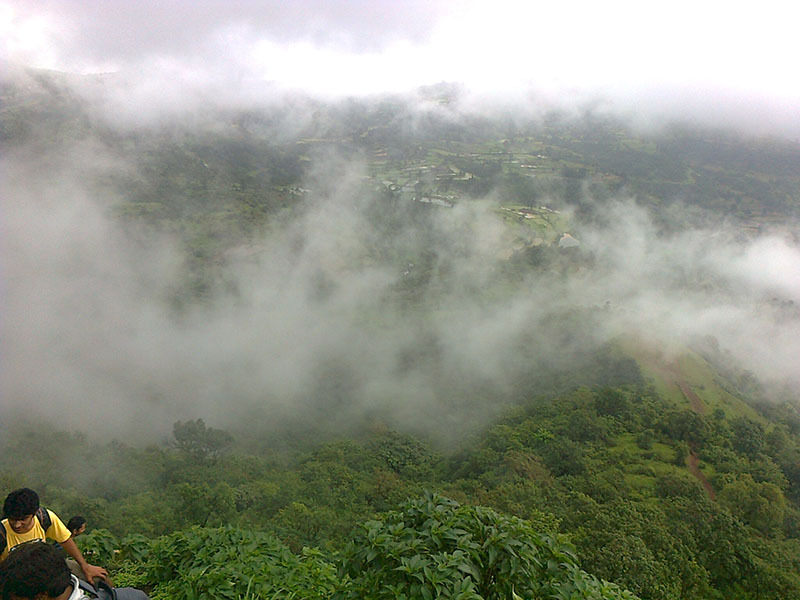 Kalsubai is part of the Kalsubai Harishchandragad Wildlife Sanctuary which spreads from Kalasubai to Harischandragad. It is one of the most enjoyable trek. In rainy season Kalsubai offers Breathtaking lush green valleys, walk through clouds, roaring winds, Series of waterfalls it’s all packed into one. On the top you can see a small temple of Kalsubai. Ratangad, AMK (Alang – Madan – Kulang), Harishchandragad, Ahivant, Saptashrungigad, Markindya, Dhodap, etc can be spotted from the Kalsubai Peak. 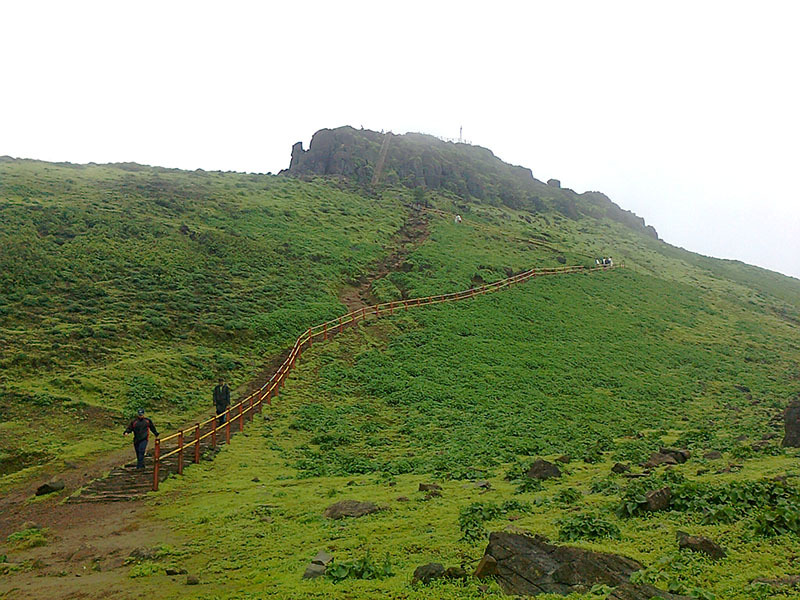 Kalsubai is the dream trek of every passionate trekker in Maharashtra to climb it at least once. 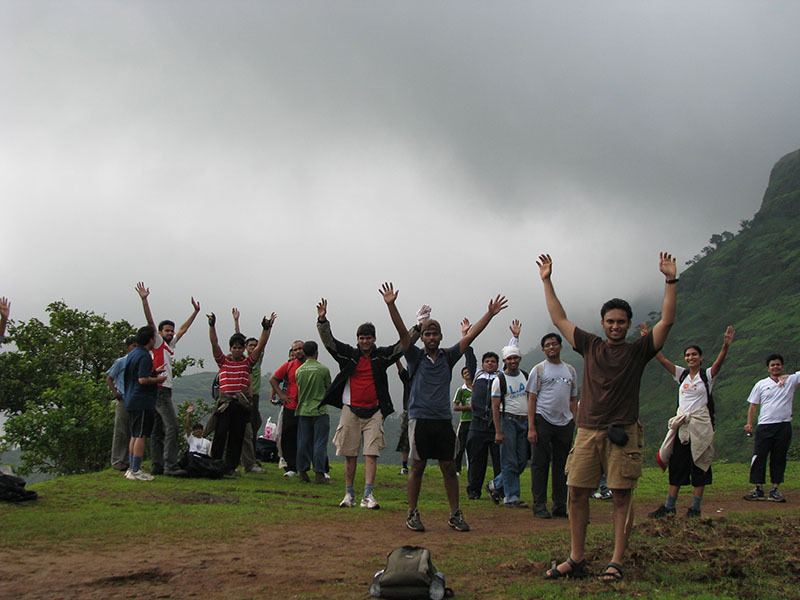 Please Call for availability before you book Kalsubai Trek, to avoid 5% Transaction Charges. Last date of Enrollment for Kalsubai Trek: 19 July, 2018 or till seats left. 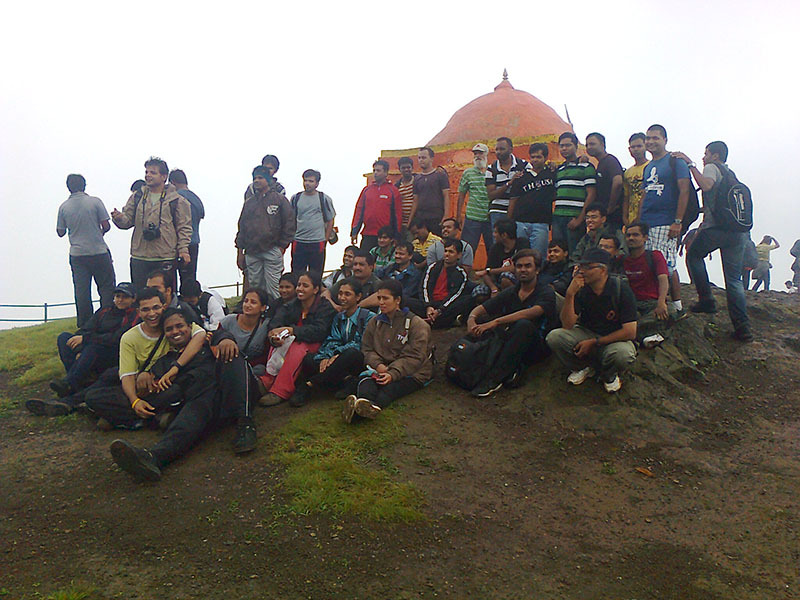 Departure Date & Time for Kalsubai Trek: 21 July by sharp 11.30 pm from SP College, Tilak Road. Arrival Date & Time for Kalsubai Trek: 22 July around 11.30 pm at SP College, Tilak Road. 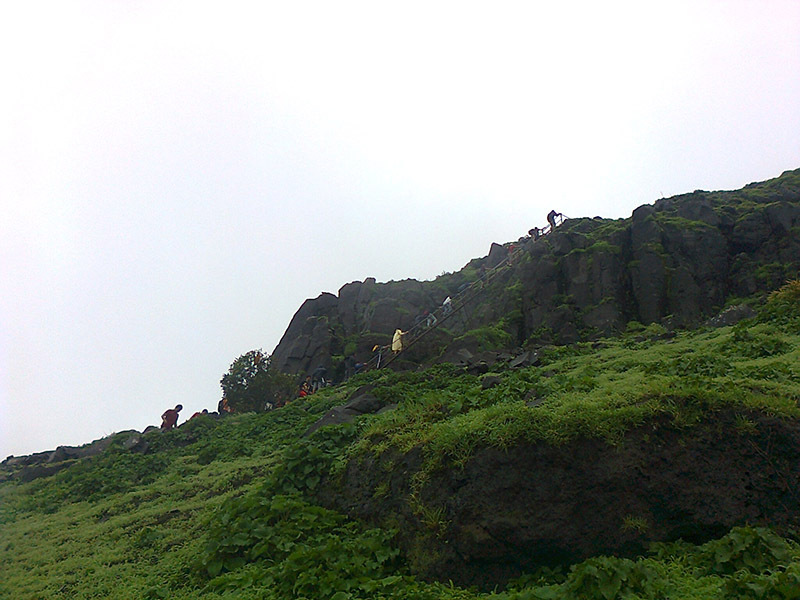 Meeting Time & Place for Kalsubai Trek: 21 July by sharp 11.15 pm at SP College, Tilak Road. 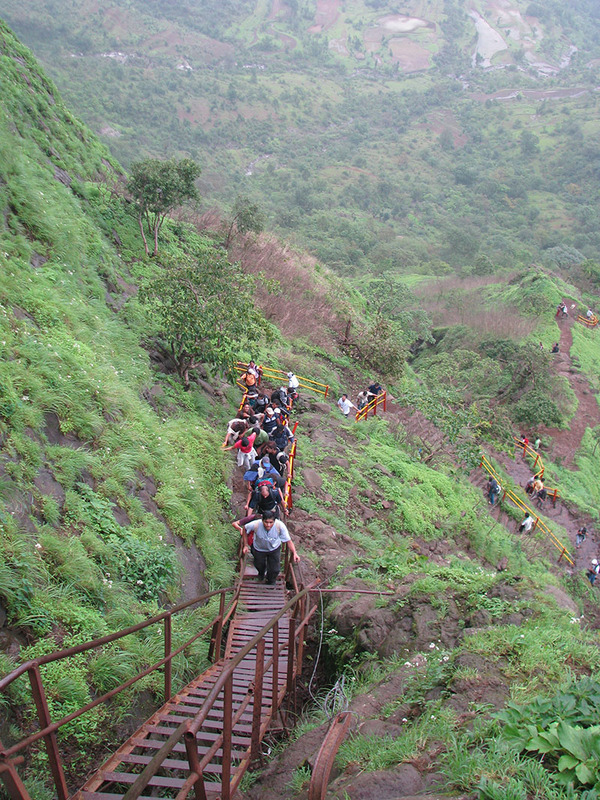 Walking Time (estimated) for Kalsubai Trek: 3.5 hours to reach the Top from Base Village & 3 Hours to get down. 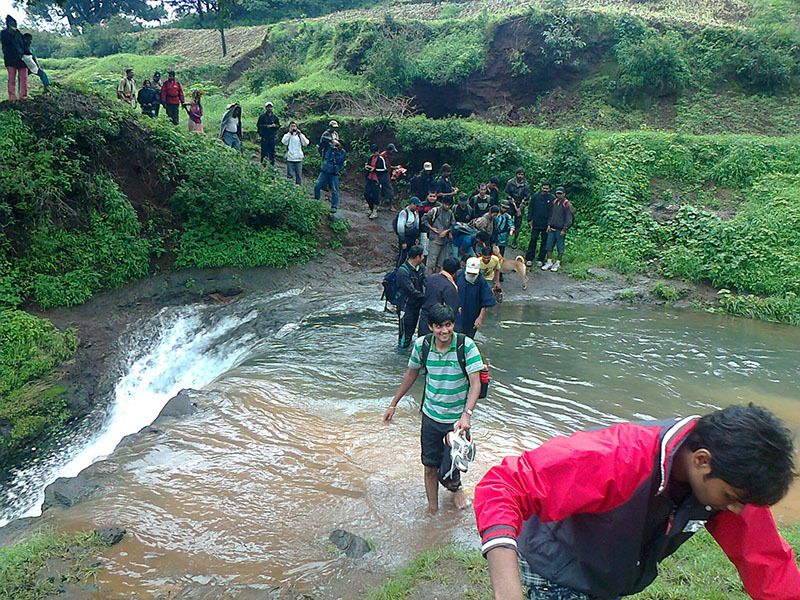 Route for Kalsubai Trek: Pune – Nashik Phata – Alephata – Sangamner – Bhandardara – Bari (Base Village) – Pune. After attendance depart towards kalsubai peak. Reach bhandardara for breakfast. Get fresh. Start Journey towards bari village. (12 kms, 30 min) Toilets are not available in base village & in Trek route. Reach bari village. After briefing, immediately start the Kalsubai trek. 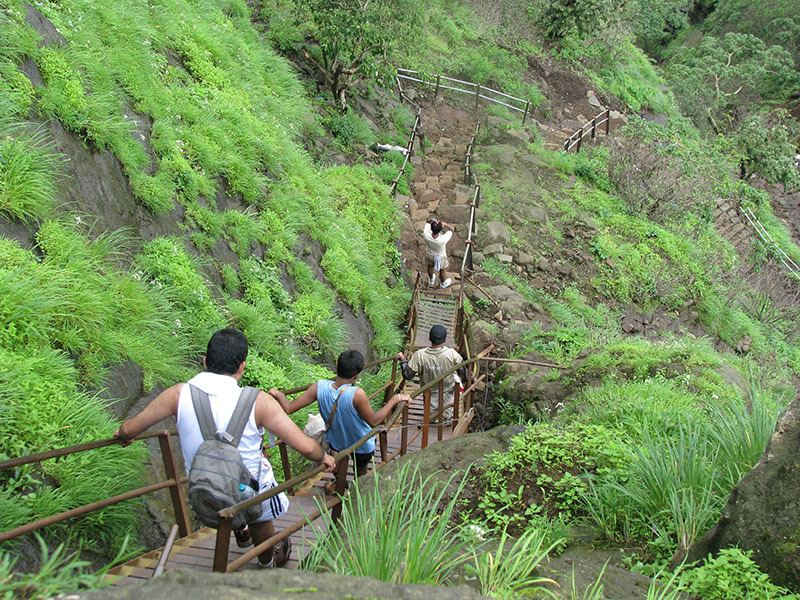 You have to cross the ladders on the way of Kalsubai. Reach the Top of Kalsubai Peak. Enjoy the roaring winds & magic of clouds. Take a Lunch at Kalsubai chi Barav (A well). Bring sufficient Lunch, Nothing is available on the Top. Start Descending the Kalsubai. Make a row while descending the ladder. Reach Bari Village. Evening Tea in a Village. Girls can change your dress in local home and boys can change in a bus or at temple. No changing rooms will be provide by Explorers. Pure Veg. Dinner on the Way after sangamner at Dhaba. Start return journey towards Pune. We may come to pune One hour before or after the given time. Sufficient Lunch & Minimum 2 Ltr. Water. Separate Plastic carry bags to save your Mobile & Wallet from Rain & to keep Wet Cloths. Extra Dress, Napkin / Towel packed in a Double Plastic Bag. Any type of addictions like tobacco, Liquor, etc. is strictly not allowed.